The Spending Data Handbook is a user’s manual for government budget and spending data. If you want to learn what spending data is and how to work with it—whether you’re a journalist, a member of a civil society organization, or just an interested citizen—look no further than the Spending Data Handbook. Data literacy. What do we mean by “data” and “spending data”? What’s the big deal with “machine-readable data”? Working with data. What is the data-wrangling workflow? How do you find and clean up a dataset? Presentation and engagement. How do you engage an audience with your data’s message? What are some nice examples of spending data projects? Working with others. Why take a collaborative approach to data-driven research? How can you make the case for open data to governments? The first version of the Handbook was produced in a four-day writing sprint that brought open data hackers and civil society advocates together to share their perspectives on government spending data.  The Open Knowledge Foundation has now edited and reorganized the results of that sprint to tighten the Handbook’s overall flow and presentation. The Spending Data Handbook is released under a Creative Commons attribution licence. Anyone is free to use and reuse its contents. But more than that, readers are free to translate, revise, and expand the handbook as they see fit. The Markdown manuscript of the Handbook is available on GitHub—just fork the repo to get started on revising or updating the Handbook.